Considering the competition for talent, the fact that people are living longer and health complaints are growing, nearly all industries and organisations are looking at how to design offices in new ways: How can design boost a company’s appeal and increase employee loyalty and motivation? How can it encourage communication, collaboration and learning? And how do we keep employees as healthy and productive as possible until they retire? The media reports again and again on the rise of backache and metabolic complaints resulting from people living and working in environments that are too static. WHO, the World Health Organisation, even categorises long periods of sitting as a health risk all of its own. Therefore, encouraging movement while sitting is one of the most effective ways of ensuring digitalised offices aren’t environments plagued by a lack of physical activity. Which is why as part of a longstanding collaboration with the German Sport University Cologne we developed the free-to-move concept that’s starts with sitting at desks but doesn’t stop there by a long chalk! Underpinned by three studies, the new concept is one of the most scientifically proved solutions for encouraging movement in offices. 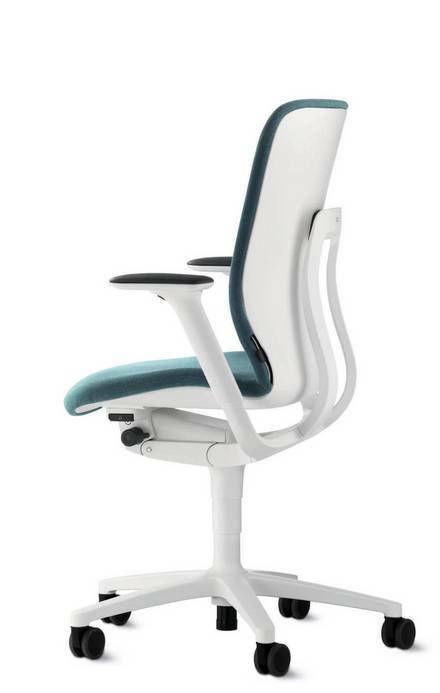 Whether people are using the ON, IN or AT chairs at desks, perching on Stitz, using Stand-up in an activity-based break or being encouraged to actively use the dynamic Confair, Timetable and mAx table ranges.